Upskilling employees without diverting them away from the day-to-day tasks is a challenge for any company. 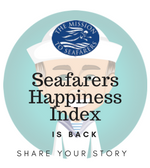 The difficulties are compounded in the maritime sector, due to itinerant working patterns. Staff often work in remote locations or are serving on board a vessel for extended periods. A one-day course is easy enough to organise, but such training is unlikely to equip staff with the necessary skills or sufficiently deep understanding of a subject that is needed to give an organisation any real advantage. While longer courses can deliver this depth of learning, they are hard to accommodate. In fact, the loss of productivity resulting from the extended absence of a key staff member may be untenable for SMEs operating with a small workforce. Yet, again and again we are told about the importance of nurturing and developing personnel. It is more frustrating still when employees are ambitious to grow or show potential for career development. One solution is to use distance learning, which allows staff to take their development into their own hands. They can choose a course that matches their career development aspirations and are prepared to invest their time and energy to complete. In fact, it makes the prospect of undertaking a course less daunting, since they can continue working and earning whilst pursuing their studies at their own pace. Because employees are not leaving their post, the impact on business operations is minimal, although many organisations like to incentivise self-development by providing an allowance of study hours on company time. In recent years, distance learning providers have ramped up their level of service, often utilising new technology to provide students the assistance they need, deserve, and, increasingly, come to expect. MLA College offers comprehensive support to students on its specialised maritime courses through personal online tutoring throughout the duration of the degree programme. An often overlooked benefit of distance learning is that employees doing a Master’s project can – and, evidence suggests, are predisposed to – focus this on a theme that is relevant to their day job. Particularly for organisations operating in highly specialised technical fields, which is commonly the case in the maritime sector, this can lead to fruitful cross-fertilisation and open up new opportunities. 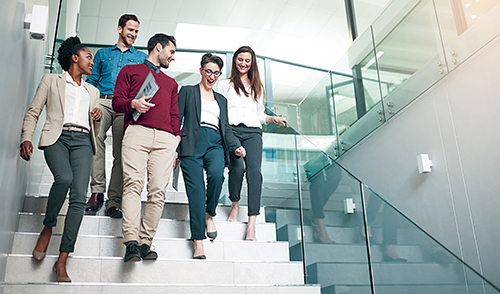 Those with their eye on climbing the management ladder may consider embarking on an MBA to help advance their careers. However these are often sorely lacking in context, reducing their value to the student and employer alike. 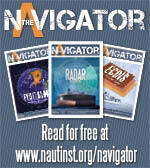 Opting for a course with maritime-specific content would clearly enhance the outcomes for all involved. MLA College’s BSc/MSc in Sustainable Maritime Operations were designed from the ground up to feature sound business and management content as well as incorporate modules relevant to the sector e.g. maritime legislation. By investing in higher education opportunities, organisations demonstrate to their employees that they are valued. This in itself can boost morale. Moreover, it signals to clients – both current and potential – a lasting commitment to not only maintain standards and quality but also to elevate them. 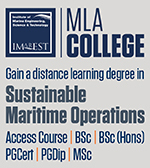 IMarEST-MLA College – written by David Loosley, Chief Executive, Institute of Marine Engineering, Science & Technology.